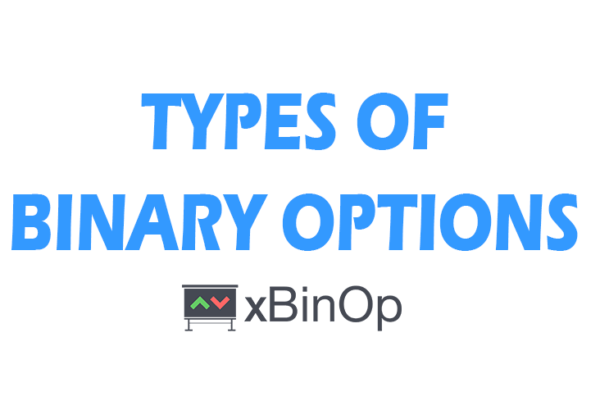 There are many types of binary options: Touch options and No-touch options, which are offered for example by broker TopOption, Classic medium-term high-low options which are offered by all brokers, KIKO options from the broker Stockpair, and many others. But which one of these options is the best deal? Why should you choose a broker based on the offered option types and expiration times? In today’s article, you’ll learn what high low options are and in the next episode, we will look at Touch and No-Touch options. The concept of the classic options is surely notoriously known. Simply predict whether the price of the asset (currencies, a commodity or a stock) at a certain time rises or falls and a reward in the form of a profit of about 180% of the amount with which we traded is awaiting us. These options can be traded with the vast majority of brokers. Best brokers who allow trade in conventional high-low options include: Banc de Binary, Stockpair and TopOption. 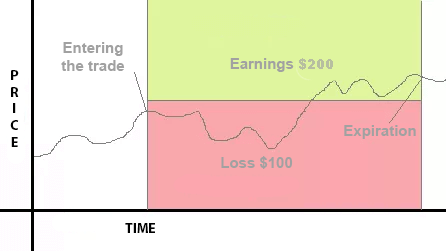 What does such trade look like can be seen in the picture below. The broker ETX Binary offers highlow options with a small modification and calls them spread binary options. The strike price is moved (what is a strike price?) a little in our disadvantage. 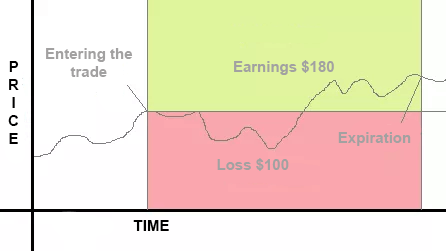 This means that the price has to do a bit more movement than the minimum to get to the earnings. The advantage is that the broker pays a higher income of 100%. Do you understand how a spread option and classic option differ from one another? For better understanding, check out the picture below and compare it with the picture above. This is how Spread binary options work. Notice the higher earnings and offset strike price. I think that with high low binary options there is not much to explain. It is really the simplest type of trading. In the next part of this miniseries, we look at touch and no touch options. We are bound by the expiration time. Lower appreciation compared to other types of options.